Since MERS-CoV is once again making headlines, we've a timely review - published late last month in Vector-Borne and Zoonotic Diseases - which examines what has been learned about the MERS coronavirus since it was discovered in the summer of 2012 - and more importantly - the critical gaps in our understanding that remain. This is a lengthy, and detailed review, commissioned by WHO/EMRO, and the complete article is available at the link below. I've only excerpted the abstract, so follow the link to read it in its entirety. 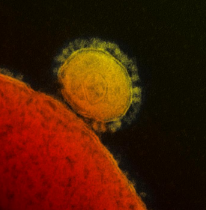 Background: Middle East respiratory syndrome coronavirus (MERS-CoV) was first identified in humans in 2012. A systematic literature review was conducted to synthesize current knowledge and identify critical knowledge gaps. Materials and Methods: We conducted a systematic review on MERS-CoV using PRISMA guidelines. We identified 407 relevant, peer-reviewed publications and selected 208 of these based on their contributions to four key areas: virology; clinical characteristics, outcomes, therapeutic and preventive options; epidemiology and transmission; and animal interface and the search for natural hosts of MERS-CoV. Results: Dipeptidyl peptidase 4 (DPP4/CD26) was identified as the human receptor for MERS-CoV, and a variety of molecular and serological assays developed. Dromedary camels remain the only documented zoonotic source of human infection, but MERS-like CoVs have been detected in bat species globally, as well as in dromedary camels throughout the Middle East and Africa. However, despite evidence of camel-to-human MERS-CoV transmission and cases apparently related to camel contact, the source of many primary cases remains unknown. There have been sustained health care-associated human outbreaks in Saudi Arabia and South Korea, the latter originating from one traveler returning from the Middle East. Transmission mechanisms are poorly understood; for health care, this may include environmental contamination. Various potential therapeutics have been identified, but not yet evaluated in human clinical trials. At least one candidate vaccine has progressed to Phase I trials. 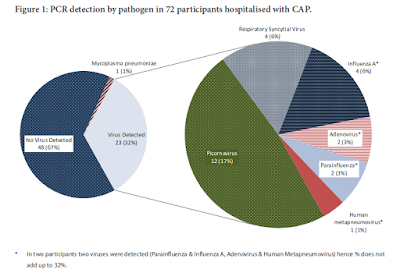 Conclusions: There has been substantial MERS-CoV research since 2012, but significant knowledge gaps persist, especially in epidemiology and natural history of the infection. There have been few rigorous studies of baseline prevalence, transmission, and spectrum of disease. Terms such as “camel exposure” and the epidemiological relationships of cases should be clearly defined and standardized. We strongly recommend a shared and accessible registry or database. Coronaviruses will likely continue to emerge, arguing for a unified “One Health” approach.